Dubai, UAE: Omnia Pay today confirmed that its mPOS solutions have been approved by Visa for inclusion in the Visa Ready Program. This follows the earlier approval from MasterCard that Omnia Pay’s solution meets MasterCard’s best practices for mobile point of sale (mPOS) devices. As well as being Payment Card Industry Data Security Standard compliant, Omnia Pay’s mobile payment devices and platform are EMV (Europay, Mastercard and Visa)-approved and meet global industry standards and best practices. Omnia Pay’s approval provides further assurance for its clients and their consumers of the safety of transacting in terms of their money as well as their personal data via these devices. 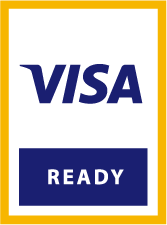 Visa Ready is designed to provide solution providers with an easy way to collaborate with Visa and quickly introduce Visa-compliant devices, software and solutions that can be used to initiate or accept Visa payments. The Visa Ready certification ensures that the next generation of payment solutions meets Visa’s security standards and specifications. MasterCard provides its approval to mobile payment solutions that meet, what the network describes as “industry standards and MasterCard best practices.” The MasterCard certification requires solution providers to complete self assessment, which includes questions such as how the solution accepts payments (key entry, magstripe, contact chip, contactless), cardholder verification methods (signature or PIN), and which specific devices support the solution. The MPOS Program ensures safe, simple and smart transactions when consumers use their debit, credit and prepaid cards at MPOS. Solution providers register their MPOS solutions according to Industry Standards and the MasterCard Mobile POS Best Practices Guide.